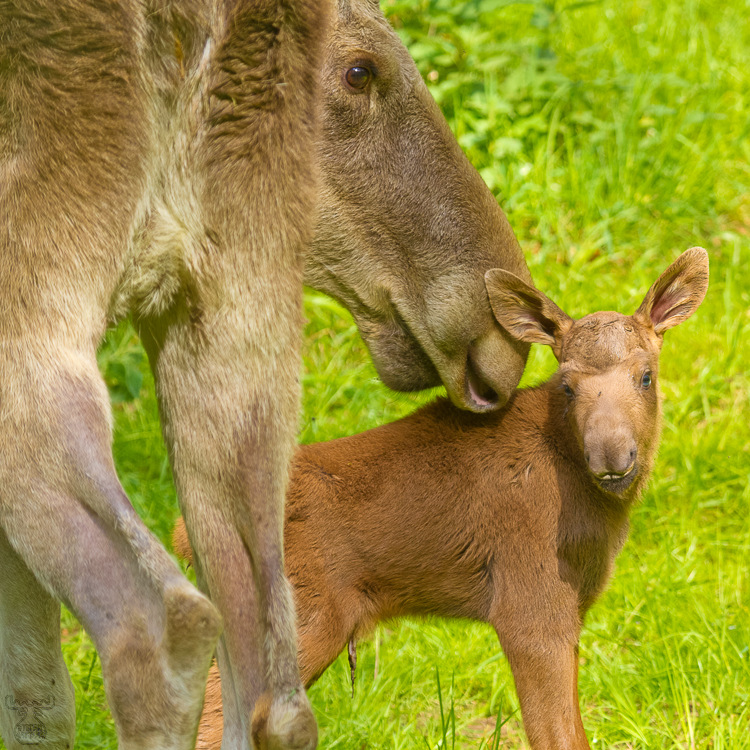 Nature can be startling - while human babies take their time to get in an upright position, moose calves achieve that within hours. This calf is about half a day old - about 7 hours actually. With wobbly legs it rises and walks along the moose cow - the mother.